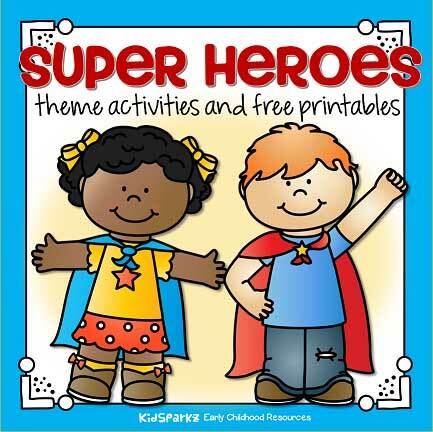 Action or super heroes theme activities, printables and centers that can be used when planning activities and curriculum for preschool, pre-K and Kindergarten children. Find literacy activities including alphabet, oral language, and emergent reading, plus math activities including counting, number recognition, and creating sets. Patterning, memory games, shapes and color recognition are also here, and even a few coloring pages. Download instantly, in Adobe PDF format. ​Many resources are free; others can be accessed in the Member's Area, or in the KidSparkz activity pack store. ​Action heroes 6 piece photo puzzle. Cut up one and match to the other. Click on a picture to read more about it. Packs for members are labeled.